North East Stars improved their psychological advantage on challengers W Connection with a 6-0 hammering of cellar-placed MIC-IT St. Ann’s Rangers on Tuesday afternoon to stretch their lead at the top of the Pro League 2017 standings to nine points with just three games left. 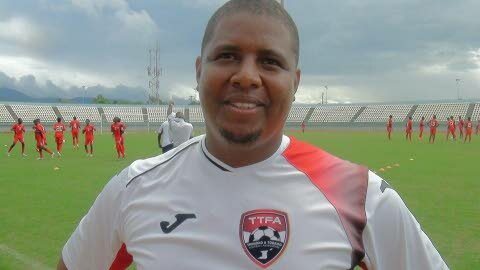 The Stars, now with one hand on the Pro League crown, are 36 points at the summit, while Connection (27 points) and Club Sando (25 points) – both with a game in hand after their fixtures against San Juan Jabloteh (Barataria Oval) and Police FC (Hasely Crawford Stadium training field) respectively on Tuesday were postponed due to waterlogged pitches – occupy second and third positions, respectively. The Stars, undefeated at the Arima Velodrome with six wins and one draw, will welcome Club Sando at the iconic venue next Tuesday in search of three more points and a seventh straight league win. King believes it won’t be a walk in the park. “We expect a very tough game against Club Sando,” said the Stars’ coach. Central FC, the three-time Pro League holders, edged Morvant Caledonia United 3-2 to hurdle the Eastern Stallions and Jabloteh for fifth position on Tuesday at the Hasely Crawford Stadium main field, despite torrential downpours affecting the Barataria Oval and Hasely Crawford Stadium training field. Morvant Caledonia’s early lead was cancelled out by an own goal credited to Ghanaian defender Maestro Mensah on 11 minutes before Kaydion Gabriel handed Central the lead on half hour. Then with eight minutes left, Jason Marcano snatched the Central winner after Holder had completed his double to level the hosts. Jerome Mc Intryre’s debut goal for the Army/Coast Guard combination earned coach Marvin Gordon’s side full points and a boost in confidence ahead of their First Citizens Cup semi-final one date with Civic from 6pm on Friday at the Ato Boldon Stadium. Club Sando are against seven-time champions W Connection in semi-final two from 8pm. Reply to "Stars rain goals on Rangers"